2. HP HP ED494AA 65W Smart (with Connector) Laptop Charger 1150 "
3. HP HP Pavilion DM3 & DV60 charger 1995 "
4. Lenovo Lenovo Thinkpad 65W AC Laptop Charger 1210 "
5. Zebronics Zebronics Slim Laptop Charger 1645 "
7. HP HP ED495AA 90W Smart Laptop Charger 1829 "
8. Dell Dell 65W (no Power Cord) Laptop Charge 692 "
9. Dell Dell Inspiron 15R/ 17R adapter 1685 "
11. Dell Dell Inspiron N4020 Charger 1680 "
12. Dell Dell Inspiron 1420/1425 Charger 1470 "
13. Dell Dell Inspiron 1525 Charger 1450 "
15. HP laptop adapter HP Pavilion DV2/ DV3 charger 1995 "
16. HP HP Pavilion DV4 / DV5 charger 2000 "
18. Dell laptop adapter Dell Inspiron 1564 orignal adapter/ charger 1480 "
19. HP HP Compaq CQ40 laptop adapter 1065 "
20. HP HP Compaq CQ42 / CQ43 laptop charger 1055 "
21. Dell Dell 90W Slim (no Power Cord) Laptop Charger 1111 "
22. Dell laptop adapter Dell Inspiron 13R Charger 1680 "
23. Dell laptop charger Dell Inspiron 14R adapter 1675 "
25. Dell Dell Inspiron 1720 6400 E1505 640M E1405 charger 1250 "
26. Dell Dell 90W Laptop Charger (without power cord) 1199 "
27. Dell Dell J62H3 90W Adapter 1136 "
28. Apple Charger Apple MagSafe 60W Power Adapter (MacBook Charger) 5880 "
29. Lenovo Charger Lenovo ThinkPad X1 Carbon 90W Laptop Charger 3325 "
30. Sony Sony Vaio CA,CB,CE,EA Series 92W AC Adapter 2100 "
31. Sony Sony Vaio FJ,AX,BX,C,CR,FS,FZ Series 92W charger 2100 "
32. Dell Dell Vostro A840 A860 A1014 A1015 1088 1500 charger 1995 "
33. Lenovo orignal charger Lenovo 90W LaptopAdapter 1682 "
34. HP HP 90W Smart Pin Dongle 19 V, 4.62 A Power Adapter 1650 "
35. HP HP Probook 4320/4330/4410/4420/4430/4510/4520 charger 1550 "
36. Lapcare Lapcare laptop charger for Lenovo 1400 "
37. Lapcare Lapcare laptop charger for Dell 1200 "
38. Lapcare laptop charger Lapcare laptop charger for HP 1150 "
39. HP HP Compaq 2210/2230/2510/2710/6510/6520/6530 charger 1550 "
40. HP orignal charger HP Compaq NX 6110 6115 6120 6125 6130 6135 charger 1400 "
41. Dell Dell Latitude D420 D430 D520 D530 D620 D630 charger 1250 "
42. Dell Dell Studio (XPS M1210-M1710-1535-1537) 65W charger 1250 "
43. Dell Dell Vostro 1000 1220 1320 1400 1500 1520 charger 1250 "
44. Lenovo orignal charger Lenovo IdeaPad 65W Laptop Charger 1249 "
45. HP HP DL606AA 65W Laptop Adapter 1199 "
46. HP HP Compaq CQ50 charger / adapter 1070 "
47. HP HP Pavilion DV6 / DV7 adapter / charger 1990 "
48. Dell Dell Inspiron 1400 / 1420 / 1500 / 1520 / 1525 charger 1040 "
49. Apple Apple MagSafe MacBook Pro 2010 85W Laptop charger 6199 "
51. Apple Apple MagSafe 2 85W Macbook Charger 6400 "
52. Apple Apple MagSafe 2 45W MacBook Charger 6100 "
53. Apple Apple Magsafe MacBook Air 45W Laptop Charger 5800 "
54. Apple orignal charger Apple MagSafe Airline Adapter 2700 "
55. Sony Sony Vaio E/S/T/Z/W/Y Series 92W Laptop Adapter /charger 2100 "
56. Sony Sony Vaio NV, R, A, E, FE Series Laptop Adapter 2100 "
57. Sony Sony Vaio SA SB SE Z Series Laptop Adaptor 2100 "
58. Sony orignal charger Sony Vaio FW,NS,NW,BZ,SR,Z Series 92W AC power adapter 2100 "
59. HP HP KG298AA 90W Smart Pin Dongle Laptop Charger 1651 "
60. HP HP Compaq 320 / 420 / 430 / 450 / 500 / 510 / 540 / 550 laptop charger 1470 "
61. HP HP WE449AA Mini 40W Laptop Charger 1430 "
62. Dell Dell DF315 90W Smart AC Adapter 1239 "
63. Zebronics Zebronics A40 Universal Laptop Adaptor 1040 "
65. Dell Dell 30W Mini (no Power Cord) Laptop Charge 690 "
66. HP HP AL192AA 150W Laptop Charger 8890 "
67. Apple Apple MagSafe 2 60W MacBook Charger 6199 "
68. HP HP VF685AA Slim Laptop Charger 4860 "
70. iBall Iball LPA-4065A 65W Laptop Charger 825 "
71. iBall Iball LPA-3365H 65W Laptop Charger 825 "
73. HP HP BT796AA 90W Slim Laptop Charger 3650 "
74. Sony Sony Vaio R505,GRX,GRS,GRV,FR,NV Series 92W adapter 2100 "
75. Sony Sony Vaio EB,EG,EH,EJ,EL Series 92W AC Adapter 2100 "
76. HP HP AX727AA 65W Slim Laptop Charger 1999 "
77. HP HP ED493AA 90W Laptop Charger 1900 "
79. Acer Acer Extensa 2600 / 3000 / 4120 / 4220 / 4230 / 4420 charger 2100 "
80. Dell Dell Studio 14 15 17 1400 1500 1700 Xps16.. charger 1995 "
81. HP HP Compaq NC2400/4200/4400/6220/6230/6400/822 charger 1872 "
83. Lenovo Lenovo 55Y9375 40W Laptop Adapter 1251 "
85. Lapcare laptop charger Iball LPA-1065D 65W Laptop Charger 825 "
86. 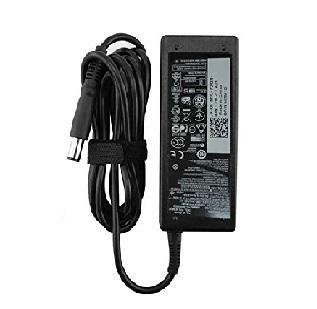 HP HP 65W Smart PIN AC Adapter 1043 "
Your search for all type of laptop adapters must have ended here with detailed prices of laptop adapters by Cost to Cost and other dealers are shown above in table.